Industrial line laser in 18mm housing with internal laser diode driver, fully calibrated. The wide voltage input range and optional trigger input enable extremely broad use in numerous industrial applications and environments. 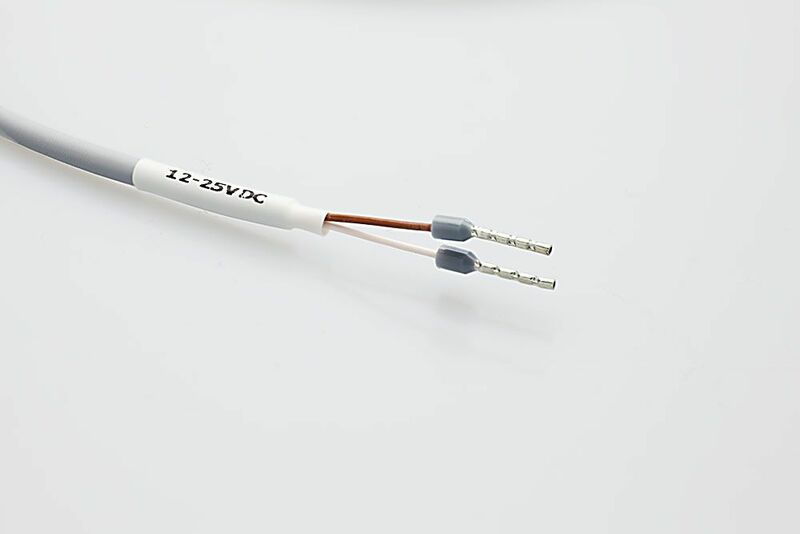 The laser diodes are equipped with ACC control, so that a high degree of stability is guaranteed. Additionally, we have installed a so-called “start ramp” in the integrated electronics, which slowly increases the current in the start-up moment. 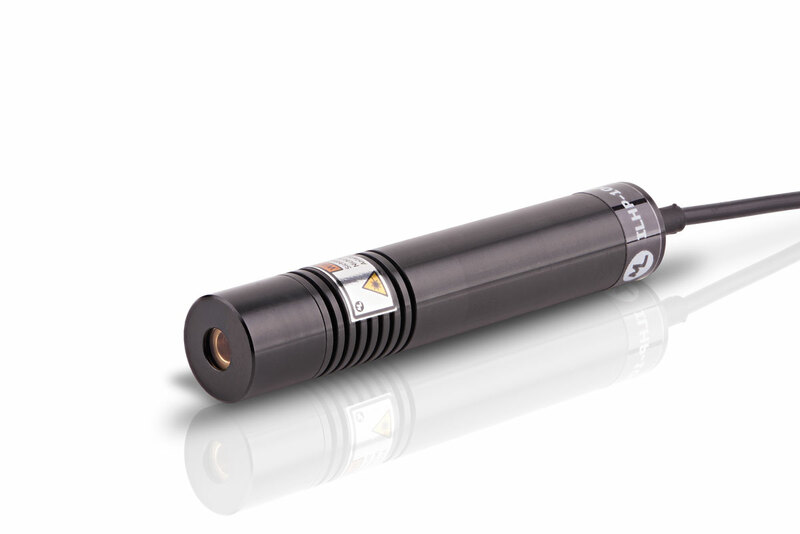 This dramatically reduces risks to the laser diode due to switch-on peaks. You can therefore assume the maximum in reliability with these modules. InLine modules can be equipped with various line angles. Furthermore, the design also permits customer-specific setting of the focus length or line width. The cylindrical housing can be clamped in a bracket, which additionally dissipates the gentle heat produced and therefore also increases the service life. The cylindrical housing with a diameter of 18mm can be easily set in the specially designed, adjustable bracket. This clamps the line laser so that the housing is not damaged. At the same time the generated heat, which is very low with these modules, is dissipated via the bracket onto a metallic surface. The line position is simply adjusted by twisting the laser module in the bracket. The stable aluminium bracket can be adjusted through pan-and-tilt, and clamped. A guide pin additionally sits in the mounting foot, for clean concentricity during the adjustment process. The mounting plate facilitates fastening from the front and rear, by means of threaded inserts. If the laser is mounted vertically over a work surface, the line length is determined by the distance and projection angle. With inclined mounting, the line length can lengthen significantly. Depending on the particular use case, modules with different beam angles can be selected, which generates the length of the laser line. The larger the beam angle, the longer the line will be. Do you require a written quotation or larger number of units? No problem! Contact us via the Contact section, we are happy to produce a quotation taking account of your individual requirements!